Colton Haynes will return to Arrow for a multi-episode arc in early 2018 which producers promise will bring closure to an "urgent matter" for Team Arrow and continue the story of his complicated relationship with Thea Queen. Haynes will reprise his role as Roy Harper/Arsenal for a "short arc" beginning in episode 15 of the season. That will likely air in March. An easy conclusion to drawn is that Roy's return plays into the ongoing storyline wherein Oliver Queen's secret identity is at risk of being revealed to the world. The last time that happened, it was Roy who stepped up, stepped into the Green Arrow costume, and was arrested to save Oliver and protect the team. Similarly, it seems logical to assume that the game-changing consequences hinted at in the statement above could be a rekindling of their romance. Given the reality that Haynes will probably never be a series regular again, that would probably mean relocating Thea out of Star City and into the land of guest stars. Haynes joined the series in the first season, and he became one of the first members of Team Arrow, suiting up as Arsenal while dating Thea in his personal life. The character left the show in the season 4 episode "Unchained," but Haynes has remained open to returning since, making a brief cameo in "Invasion!" and teasing repeatedly his season 6 return. 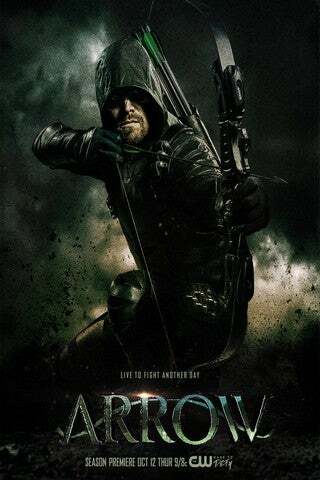 Arrow returns on Thursday, January 18 at 9 p.m. ET/PT on The CW.